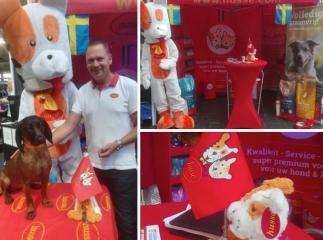 From 9th till 12th of August Husse participated in World Dog Show 2018. This year the most prestigous dog event took place in Netherlands. Husse participated first time in event in Bosna and Herzegovina. 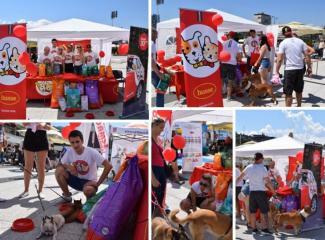 It was a charity Bazaar organized by a foundation called Let's Feed Our Street Dogs Together. Event took place on the 5th of August in Sarajevo. Husse Bosnia and Herzegovina donated dry food to dogs in need. It has so far been a very productive summer for Husse UK franchisees who have been busy planning and attending various shows and events up and down the country. 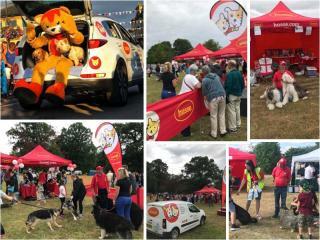 Husse attended the Dumfries House Fun Dog Show in Scotland. This prestigious annual event attracted over 220 entries across 3 events; The Main Show, The Agility Show and The Doggie Dash. The day attracted a high number of visitors who came to experience the fun and help raise much needed funds for this years chosen charity, The Huskies Sledge Dog Rescue.